Our product range includes a wide range of screw compressor. 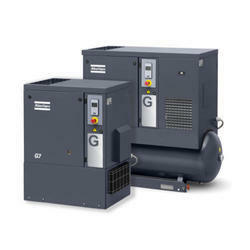 With the years of experience and knowledge, we are engaged in offering a wide range of Screw Air Compressor. This Oil Injected Screw Air Compressor is well designed and offer hurdle free performance. Our products are sturdily constructed and are widely demanded by our clients. These products are offered in different sizes and dimensions.